With this first of it’s kind BC bourbon-style corn whisky, Okanagan Spirits opens a new chapter in Craft Canadian Whiskies. 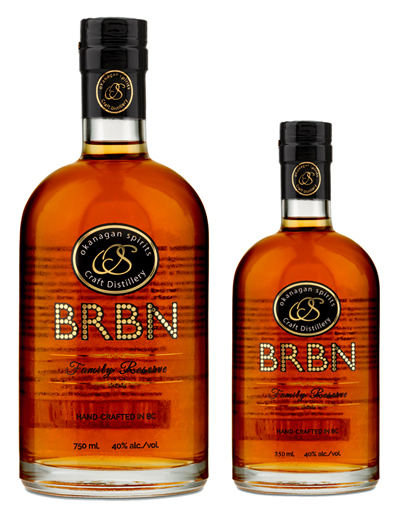 Harvested from Coldstream Valley grain corn, through diligent milling, fermenting, distilling and aging we introduce BC’s first Bourbon-style Corn Whisky, BRBN. The grain corn is grown just west of our Vernon Flagship distillery, and is milled onsite before being fermented and distilled in our state-of-the-art copper pot flavour stills. 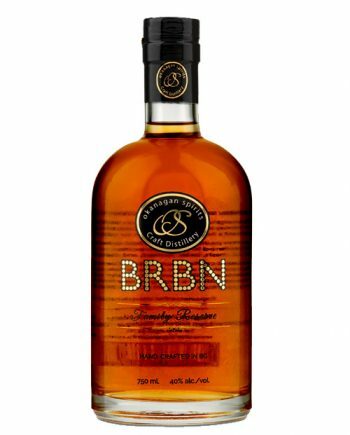 After a carefully monitored distillation process, our BRBN whisky is put down to rest and mature in carefully selected white American toasted oak casks. These heavily toasted honeycomb barrels release a flavour of burnt caramel to finesse the sweet flavour.